Rep. Chellie Pingree (D., Me.) has introduced legislation that seeks to reduce the amount of food wasted each year in schools and other institutions. The Food Recovery Act also seeks to combat food waste on the farm, in restaurants and grocery stores, and the consumer level. In schools, the bill would expand grant programs that educate students about food waste and encourage food recovery. 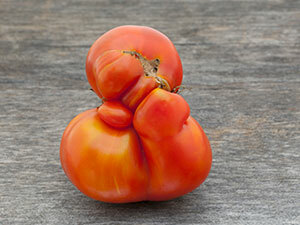 It also encourages cafeterias to buy lower-priced “ugly” produce and strengthens the link between farms and schools to give both more resources in combatting food waste. Pingree’s legislation would also require the USDA to establish standards for estimating the amount of food wasted on farms, and expand and extend tax deductions for farmers, retailers and restaurants that donate food to organizations that help food insecure people. "Forty percent of all food produced in the United States each year is wasted. The Food Recovery Act takes a comprehensive approach to reducing the amount of food that ends up in landfills and at the same time reducing the number of Americans who have a hard time putting food on the table," Pingree said in a statement.